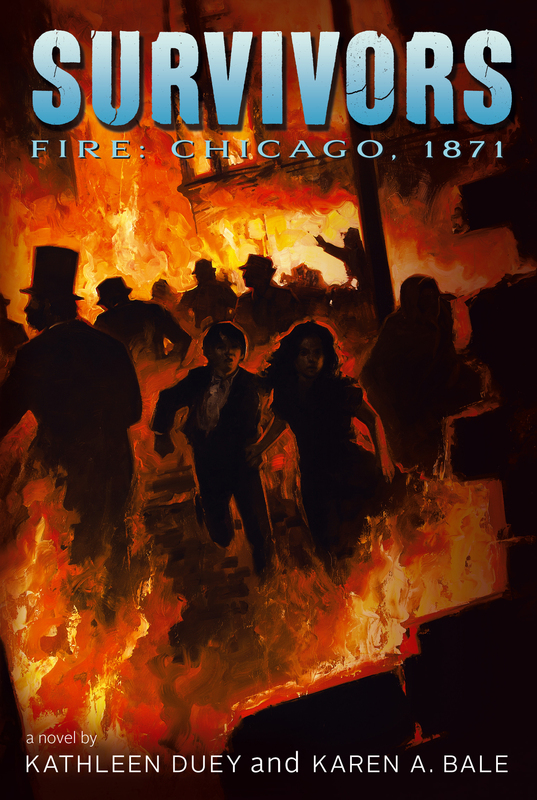 Can two kids survive the flames of the great Chicago Fire of 1871? Find out in this riveting historical fiction, part of the Survivor series. Nate Copper and his best friend Ryan love to sneak out at night to watch firefighters battle the blazes that have plagued Chicago all through the dry, windy summer of 1871. Wealthy Julie Flynn, suffocated by her overprotective parents, can’t imagine adventures like Nate’s—and he’s definitely not a boy she would ever be friends with. But fate and fire throw Nate and Julie together on the dark and dangerous streets of Chicago, and in the chaos of the crowds, Julie is kidnapped. Nate has to try to figure out a way to free her before the wind-driven flames spreading across the city cut off their only chance of escape. Will Nate and Julie be able to survive? Nate Cooper swung the empty milk pail as he walked down Canal Street. It was a warm, breezy morning, and he was glad to be out of his Sunday suit. Aunt Ruth always made him go to church. This morning, aptly enough, the preacher had done a whole sermon on hellfire and brimstone. The air was still filled with the acrid smell of smoke from the fire the night before. With the breeze coming from the southwest, that was a blessing. Usually when the wind came from this direction, it carried the heavy stench of the Union Stockyards. Pushed by the light wind, ashes drifted aimlessly along the ground. Last night’s fire had been a bad one—the worst one yet. A slat-ribbed horse pulling a salvage wagon clopped past. The horse and the driver looked exhausted. Nate turned. Ryan Wilson was standing on the corner of Washington Street, hands on his hips. He must have managed to slip away from his father’s livery stable. Usually, his whole Sunday was spent mucking stalls. Nate waited for Ryan to catch up with him, then they fell into step. “Did your aunt let you go watch the fire last night?” Ryan picked up a cinder and threw it across the street. 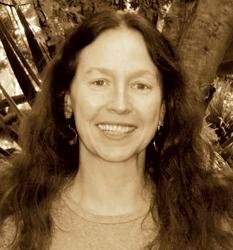 Water from the pump engines, black and foul, stood stagnant in the gutter. Nate nodded, gesturing. A mounted policeman rode along the edge of last night’s burn. His horse was a tall bay with a wide blaze. It reminded Nate of one of Ryan’s father’s geldings—a spirited animal Nate rode every chance he got. Sometimes Ryan’s father needed help exercising the horses that were boarded at his livery stable. Once in a while, he even paid Nate to ride them. The policeman was turning people aside. Compared to the night before, the area was almost deserted—but it wouldn’t be for long. A few blocks down, Nate could see people crossing the Adams Street Bridge. Now that church was out, there would be more coming to gawk at the places where the plank streets had burned through, collapsing to the soil ten or twelve feet below. Nate followed Ryan’s gesture. The viaduct was a wreck. All the wooden timbers supporting the roadway above the railroad tracks had burned and fallen. The metal structure below was twisted, bent every which way. On the far side of the viaduct, the fire had destroyed everything, even the boardwalks. The rank soil beneath them had been dried out by the fire. Now that the raised boardwalks and plank streets had been burned away, it was strange to see the exposed stone foundations of the buildings. Even the rocks were stained with smoke and split from the heat. Aunt Ruth had told him that ground level in this part of town had been raised eight feet back in the fifties and sixties, just to get it up above the sea of mud. All of Chicago had been built on a marsh, and the city workers had used dirt dredged up out of the river bottom, lifting the old buildings with jacks, a few inches at a time. As the boys picked their way across the railroad tracks east of the collapsed viaduct, Nate slid on the chunks of charred wood that graveled the ground. “The paper-box factory nearly exploded, it went up so fast,” he said over his shoulder. “I wish I could have seen it.” Ryan’s voice was wistful as he caught up. Nate led the way up the slope, crossed the railroad tracks, then went back down. Abruptly, without meaning to, he stopped, stunned. Ryan stood beside him, and for a few moments, neither one of them said a word. The fire had erased a whole neighborhood. “You can’t even see where some of the houses were,” Ryan whispered. Nate glanced at him, then looked back at the blackened jumble of wood and ash that had been homes, saloons, lumberyards, and factories the day before. Staring at the destruction made Nate feel strange. Last night, the fire had been beautiful. This was so ugly he felt almost sick. Behind them, he heard a woman weeping, saying something over and over in a voice so distorted her words were impossible to understand. “Let’s get out of here,” Ryan said quietly. Without answering, Nate began to walk, swinging the bucket again. He led the way, veering eastward, cutting through the destroyed neighborhood slantwise, avoiding the worst of the wreckage and the piles of still smoking timber. Once they were on the far side, where the houses still stood and the planked streets were only dusted with ash, he slowed down. “It came close to us,” Ryan whispered. “Why don’t you tell him he can only have a pint of milk a day?” Ryan asked, narrowing his eyes. “That’s true,” Nate agreed, grinning again. He swung the bucket in a high arc over his head, then brought it back down. “Can you get out again tonight?” Ryan asked, turning around to walk beside Nate again. Ryan wasn’t listening. “Race you to the corner,” he said over his shoulder, already two steps ahead. Nate sprinted after him, forgiving Ryan for cheating. He never won anyway.